Hello there friends! In this text I am taking you on the joyful ride throughout the beautiful book that I got this summer. Giselle in Zagreb by Mladen Mordej Vučković is guiding us from end to end of the last century and more, archiving all the dancers that danced the role of Giselle in this city. I hope it will be of as much crisp nostalgia for you as it was for me. Giselle is a romantic ballet in two acts. It was first performed by the Ballet du Théâtre de l’Académie Royale de Musique at the Salle Le Peletier in Paris, France on 28th of June 1841, with Italian ballerina Carlotta Grisi as Giselle. The ballet was a huge triumph and it became immensely popular and was staged across Europe, Russia, and the United States. The traditional choreography that has been passed down to the present day derives primarily from the revivals staged by Marius Petipa during the late 19th and early 20th centuries for the Imperial Ballet in St. Petersburg. Librettists Jules-Henri Vernoy de Saint-Georges and Théophile Gautier took their inspiration The Wilis, a phantomlike woman-beings or fairies, described in essays book De l’Allemagne by Heinrich Heine, and from a poem Fantômes in Les Orientales by Victor Hugo. The prolific ballet composer Adolphe Adam composed the music. Jean Coralli and Jules Perrot created the choreography. The role of Giselle was intended for Carlotta Grisi as her debut piece for the Paris audience. She became the first one to dance the role and was the only ballerina to dance it at the Opéra for many years. Mladen Mordej Vučković, Croatian author and ballet critic introduces us to his book titled Giselle in Zagreb (published by Hilarion, 2014) with a thank you note to Sonja Kastl & Norman Dixon. Ms. Sonja Kastl (a renowned Croatian ballet dancer and choreographer, now 88-years-old) once gifted him a book The Ballet Called Giselle written by Cyril W. Beaumont, signed with author’s personal dedication to Ms. Kastl. Mr. Beaumont and Ms. Kastl met in London in 1955, during the guest-performance of Croatian National Theatre, where she was dancing Julia in Romeo & Julia and Jela in Devil in the Village. The second thank you note goes to the Mladen’s dear friend Norman Dixon (a British ballet dancer and choreographer, now 91-year-old, who lives for the last 30 years in Croatia, and was a longtime director of Ballet of CNT in Rijeka), who not knowingly gave him the same book, describing it as one of the most detailed compendiums about the ballet Giselle. So in a way, that significant book by Cyril W. Beaumont inspired Mladen Mordej Vučković to start collecting material for Giselle in Zagreb, encouraging him to research about all the versions that were ever staged in Zagreb. Back to Carlotta Grisi, the introduction notes that she was born in the Croatian region, namely, in Vižinada in Istria, where there is still a street named after her. The first version of Giselle in Zagreb was staged in 1897, two years prior to her death. Reading of the book continues in this delightful manner of entanglement and detanglement of historic data and artistic challenges, offering an insight in to the less know (more to say, unknown) facts from ballet archives. The most interesting part for sure is about Emma Grondona, Zagreb’s first primaballerina and also the first one dancing Giselle, that premiered on 21st of January 1897. Grondona, originally Feigelstock, was probably born in Budapest, but there are no available data on her complete biography or exact vita. She studied in Italy at Margerithe Wuthier (who was a student and later a wife of Giovanni Casati). She was dancing in Pest, Berlin and Vienna, from which she was engaged to come to Zagreb. After leaving Zagreb in 1898 she went on to Prague and later Frankfurt, Leipzig and Dresden. After 1923 there are no more data about her artistic life. Did she changed her artistic name, or left Leipzig? Date and place of her death is unknown. She left an impacting mark on the development of the Ballet Ensemble within the Croatian National Theatre & Opera House in Zagreb, where a ballet was, as many of the time, a part of the Opera framework, incorporated within the corps of the opera, gradually finding its structure toward a consistent ballet ensemble within the repertory. Grondona choreographed a lot of ballet divertissements as well as taking over as a ballet director after Otokar Bartik (who is from 1908 to 1919 going to spend at New York Metropolitan, where his first success is going to be a choreography for The Bartered Bride, a comic opera by the Czech composer Bedřich Smetana) had left. For the next Giselle the audience will have to patiently wait for almost 70 years, since the premiere of another one is not going to take place until 1965, danced alternately in that season by Ivanka Žunac and Đurđica Ludvig, both awarded and renowned principals. From 70s onward ballet Giselle is expectedly a firm part of the repertory, serving with its artistic challenge an array of strongly renowned principal dancers of the time, many which are still important figures in the ballet life of the region: Irena Pasarić, Almira Osmanović, Lidija Mila-Milovac, Ljiljana Gvodzdenović, Mihaela Devald and more. Mladen Mordej Vučković thoroughly notes facts, traces and meanings of all of the executed versions, providing us with reliable document about the life of the role during the decades. The last Giselle captured by the book is wonderfully sophisticated, deep gripping and impressive Edina Pličanić, who premiered in that role in 2006. I still remember my first time of watching Edina on stage, dancing a role of Blanche DuBois in the ballet A Streetcar Named Desire (that premiered in 2005, choreographed by Dinko Bogdanić to the motifs of the play of Tennessee Williams). There is some inner resilience of Blanche portrayed by Edina that her Giselle also possesses. Correlating contemporary times with echoes of the past, Edina is giving the female roles a resistant twist, offering a multitude of layers in interpretation of their inner and outer tribulations. 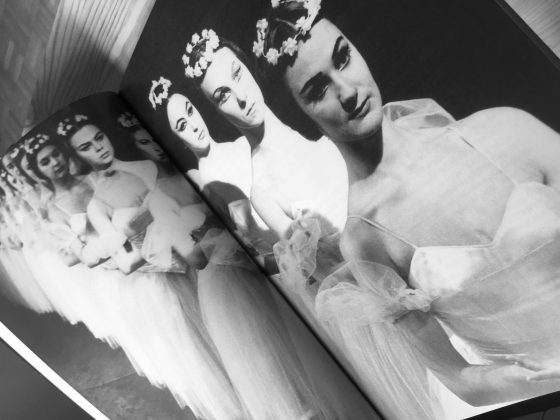 Mladen Mordej Vučković concludes the book with archive materials of guest-performances ofGiselle that took place in Croatian National Theatre in Zagreb, the most intriguing one being for sure that of The American Ballet Theatre in 1956. Considering the Cold War political and historical frame of the time, a photo from the after-performance dinner reception, capturing ballet dancers John Kriza, Nora Kaye and Jelko Yuresha (Željko Jureša) in a conversation, is a strong document of livelihood of dance curiosity and exchange. Equipped with comprehensive factographic and photographic illustrations, Giselle in Zagreb is a valuable guide through the stage-life of not just this ballet work but also of the continuum of artistic knowledge and dedication that was transferred from one generation to the next. Mladen Mordej Vučković and his team did a great job of compressing that traces for further research and reading.